Although Jewish individuals and families lived in and around Bloomington since the mid-1800s, there was never a sufficient number to make a minyan, build a synagogue, or maintain a cemetery. Thanks to the encouragement of IU President Herman B. Wells, the 1950s and 60s saw significant hiring of Jewish faculty. In 1965, a group of families incorporated as the University Jewish Community, became the Bloomington Jewish Community in 1976, and finally Congregation Beth Shalom in 1982. In the beginning, services and religious school were held at IU Hillel. In 1971, a building was completed. For many years, services were led by congregants, and then by student rabbis. In 1989, we hired Rabbi Joan S. Friedman, who remained with us until 1994. Our second full-time rabbi, Mira S. Wasserman, served the community from 1998 to 2009. We owe a debt of gratitude to all those who laid the foundation for the community we have become! See Lana Ruegamer Eisenberg's thoughtful history of our early years, The Way We Were: The Founding of the University Jewish Community in 1965. And for a lively 1st person narrative, here's the text of Joe Belth's presentation before a live audience. Irving Fell (z"l), Joe Belth, and Barbara Portnoy on the site of what was to become Congregation Beth Shalom. Past Presidents of Congregation Beth Shalom are honored at our 50th Anniversary Gale, May 2015. 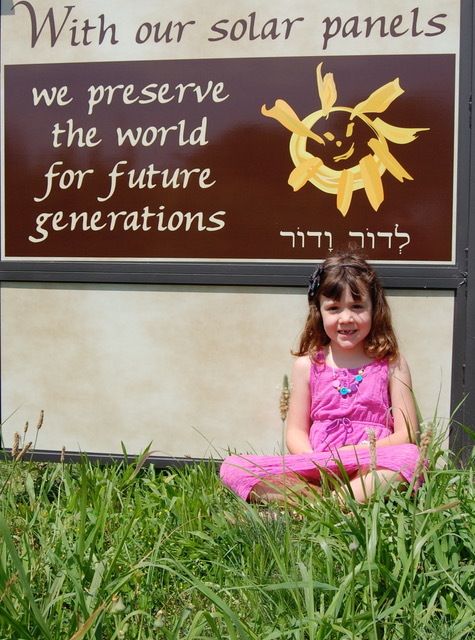 Congregation Beth Shalom is a national leader in greening and a 2012 Co-winner of OED's Community Conservation Challenge Grant for Indiana. 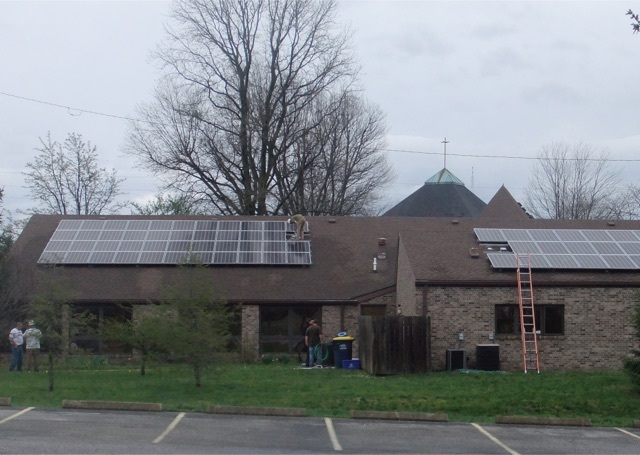 With a $25,000 grant from OED we leveraged funding to install a 23.32 KW photovoltaic array, which has been in operation since the end of April 2013.